The mad prince Maximus is up to some no good in this IvX tie-in story from the creative team of Charles Soule, Kim Jacinto and Java Tartaglia (with an ultra-cool cover by the great Fraizer Irving). In the midst of the second superhero civil war, Maximus decided to sew a bot of mayhem by orchestrating a deadly conflict between New Attilan and Tony Stark. It all culminated sending a legion of his Iron Man battle suits to lay siege to the inhuman city. Maximus utilized the chaos to break into the prison cells in the bowels of the city and free the Inhuman villains, Lineage and The Unspoken. Somehow the trio of cads made their way to South Beach Florida so that Maximus might take his time deciding how to use his new pawns so to bring about further chaos. At first Max doesn’t find much use for The Unspoken (boring old guy) and Lineage (who has the power to talk to dead boring old guys), but Max decided he wants to have a gang and offers the two the opportunity to go ‘ganging’ with him. Time passes and Max’s boredom doesn’t abate. He needs a goal, a purpose, something worthy of his attention. Gaining revenge on his brother for destroying his hands doesn’t interest him, taking over New Attilan feels dull, destroying the world seems to easy. Then he turns on the television and comes across the news that the X-Men have laid siege to New Attilan. It’s just what he’s been waiting for and Maximus is elatedly inspired! The gears of Maximus’s manic genius turn quickly and he devises a plan. Utilizing, Lineage’s powers, Maximus communes with an ancient Inhuman named Monan who centuries ago had been the assistant of Randac. From this ancient scientist, Maximus learns of a formula for creating Terrigen. Of course, Maximus wants this information for himself and himself alone, so he has Lineage wear earphone and sends the Unspoken to wait out on the balcony. Then he stabs Monan in the head with a fork, slightly injuring Lineage and freeing Monan forever from imprisonment inside Lineage (hence insure that this information cannot be passed along to lineage or anyone else). The scene switches to a Shield superman detention facility in rural New Mexico. It turns out Maximus has kept a small Terrigen Crystal, one of the last in existence. He offers it to The Unspoken in exchange for breaking into the facility and freeing a particular prisoner. Maximus promises that, were they to succeed in his plot, The Unspoken will have all of the Terrigen he could ever dream for. 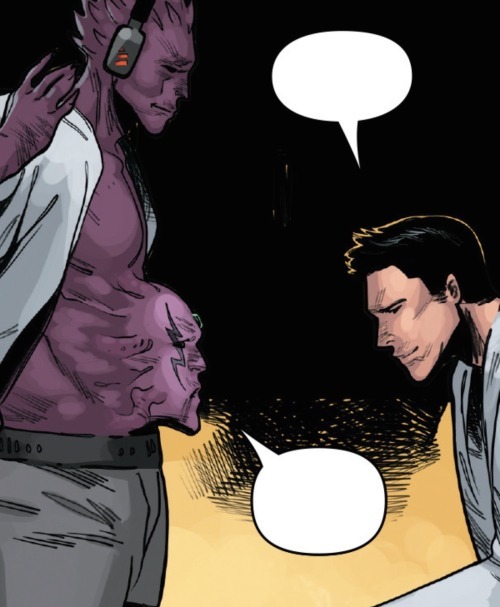 The nature of The Unspoken’s powers is that he gain any ability he chooses, but requires a constant supply of Terrigen in order to fuel this fleeting power. 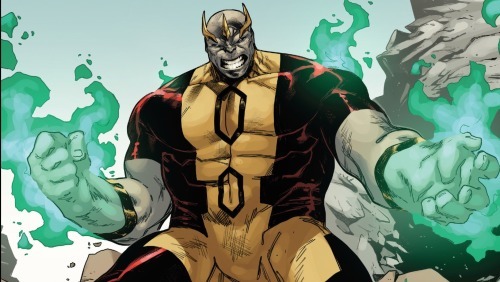 The Unspoken possess rather limited sense of imagination and he always chooses to transform himself into again hulking being with incredible super strength. Empowered, The Unspeakable tears into the prison, tossing guards aside and searching out the individual Maximus is looking for. Meanwhile, Max makes a quite phone call to Mumbai to recruit the Inhuman villain, Banyan, into his cause. The Unspoken quickly returns, with Triton in tow. 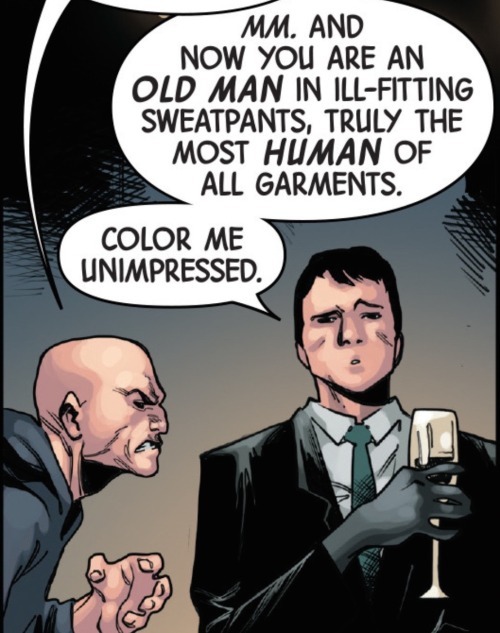 The hulking Inhuman’s power quickly fades and he reverts to his previous form as a fail old man. Triton had been arrested and incarcerated after confessing to participating in the events that resulted in the destruction of Stark Tower. He doesn’t especially want to be freed. He wishes to serve his time aa a penance for betraying his queen and people. Maximus convinces him otherwise. 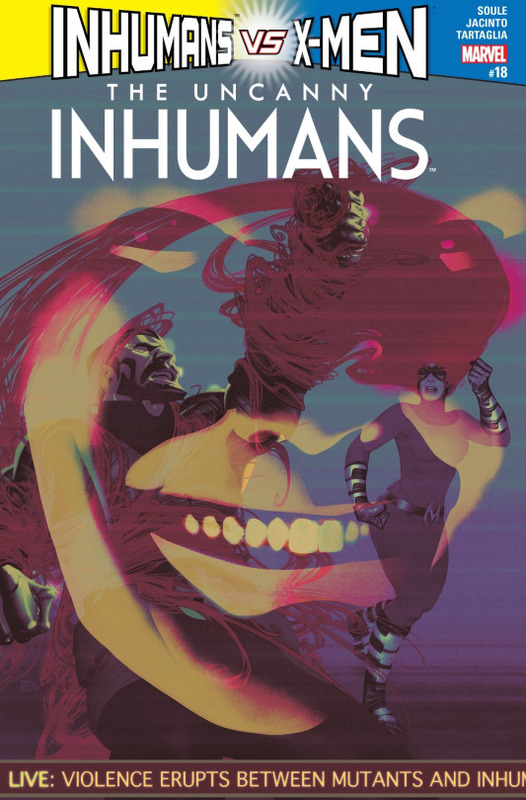 Maximus’s sinister preening aside, his plan seems rather nobel on the surface, He will recreate a new supply of Terrigen Crystals and thereby end the terrible war between The Inhumans and The Mutants. 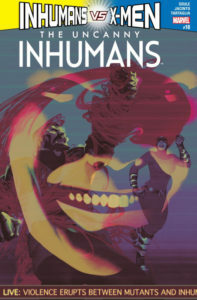 The Inhumans will no longer be reliant on the Terrigen Cloud and The Mutant will be allowed to destroy the cloud and thus save themselves. Maximus assures Triton that everyone will be so pleased with their having averted the conflict that all past crimes will be forgiven and Triton will be received back into the Royal Family with open arms. Reluctantly, Triton agrees. and it is here that this extremely fun issue come to a close with the promise of continuation. What an absolute joy of a read! With all of the doom and gloom and handwringing thats gone down in IvX thus far, this issue is a much needed injection of levity and good times. 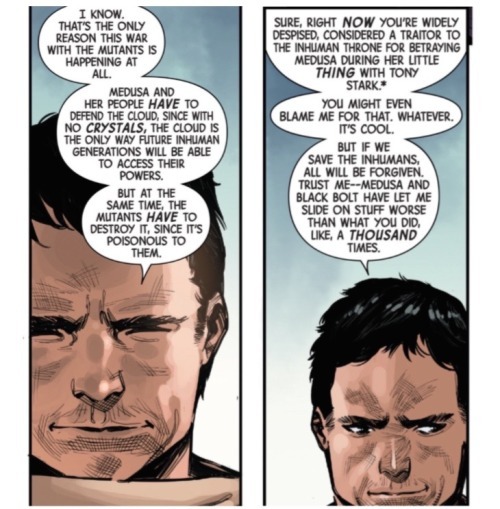 Charles Soule writes the best Maximus perhaps ever… I’d be so down for a Maximus solo series or miniseries. He captures Maximus dialogue, wit and mercurial temperament just perfectly. I didn’t want the issue to end. I could have read about Max’s misadventures in Miami and Las Vegas for hours and never get bored. Lineage and The Unspoken make for great foils to Max’s precarious flights of fancy… two stooges whom Max insults, uses and manipulates with hilarity (I’d feel bad for the two schlubs if not for the fact that they’re both a pair of crum-bums). I have great animosity toward The Unspoken for having killed the wonderful Vinatos and thus is gave me a bit of a sadistic thrill to see Max so ruthlessly and un-relentlessly insult him. My understanding is that Terrigen Crystals much be found and cannot be artificially manufactured. 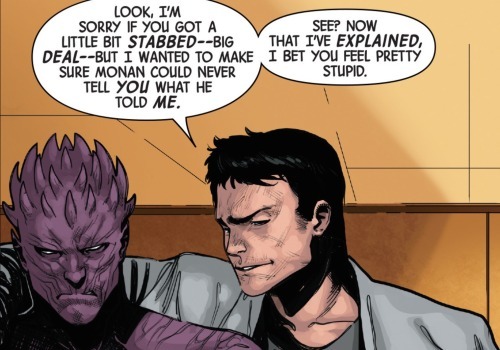 Yet I might be wrong and, if Maximus can indeed produce a new source of the crystal, it will indeed lead for there to be no reason for the Inhumans and X-Men to be at war. Very interested to see how it pans out and cannot wait for the next installment to see what happens next. Kim Jacinto is the ideal illustrator for the issue. His ability to capture Max’s manic energy is just perfect and his depiction of Max is both attractive and frightening. And there are a number of panels where the dialogue and art made me laugh out loud. Java Tartaglia’s color work compliments the illustration quite well. His use of blue, orange and green tones to underscore the different settings of Miami, Vegas and now Mexico is understated but really nicely done. It adds to the cinematic quality of the issue. Definitely recommended! Four out of Five Lockjaws!